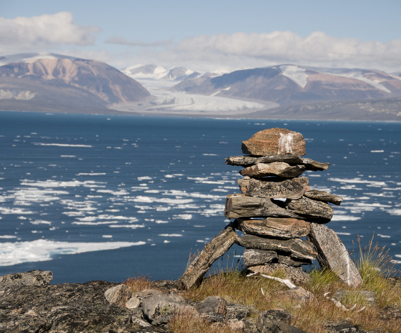 China-backed metals producer MMG Ltd. might be the new kid on the Canadian Arctic block, but it is already announcing plans to build two mines in Nunavut in the next six years. The company, until recently called Minmetals Resources, announced Tuesday that it had submitted a proposal for the Izok Corridor project which is situated east of Nunavut’s Bathurst Inlet. The endeavour includes the Izok Lake and High Lake deposits, and it will be reviewed by the Nunavut Impact Review Board and other authorizing agencies, beginning a process that could see production as early as the last quarter of 2018. "The Izok Corridor Project is an important component of MMG's zinc strategy as a number of major mines, including our own 500,000 tonne per annum Century mine in Australia," said in a statement Michael Nossal, MMG's Executive General Manager, Business Development. The project is expected to produce an annual 180,000 tonnes of zinc in concentrate and 50,000 tonnes of copper in concentrate.